Taking a look at the capabilities, feature sets and options in the most recent portable 2-way loudspeakers to see what’s available. The EAW RADIUS family includes 8- and 12-inch 2-way powered (class D) models available in two horn patterns (60 x 45 and 90 x 60 degrees) that incorporate proprietary EAW Focusing and DynO technologies. The processing platform integrates Dante networking and EAWmosaic, an iOS-based application for prediction, control and monitoring wirelessly. Further, a large navigation screen provides on-box access to all functions via a turn-and-push encoder. In addition to basic functions such as crossover and delay, users can select from a number of pre-tuned voicings and perform an output check to verify transducer and amplifier functionality without the need for external equipment. Dual locking etherCON connectors provide daisy-chain Dante connectivity for single cable audio and communications. The PreSonus CDL12 combines the attributes of point source and line array principles. It’s loaded with eight 2-inch drivers aligned in a segmented circular-arc HF array centered in front of a 12-inch woofer. The output of the LF driver travels from the same acoustic axis as the high-frequency array so that the pattern always radiates from the center of the loudspeaker, whether used individually or as part of an acoustically coupled vertical array with up to six enclosures. The 120-degree horizontal coverage pattern is maintained while the vertical coverage is expanded by 20 degrees per box deployed. A 420 Hz crossover frequency is intended to minimize comb filtering and doesn’t compete with the conventional vocal range. Onboard is 500- x 500-watt class D amplifier with onboard DSP presets. Dante networking is supported while also providing remote access for system tuning via the company’s Worx Control software. The Ramsdell Pro Audio 15-X-SS (15-inch, with 12-inch version also available) employs a neodymium woofer with a 4-inch voice coil and a 1.5-inch compression driver on a proprietary Tractix 60- x 40-degree waveguide. LF program power is stated as 1,200 watts, while HF program power is 150 watts. A bi-amp version is also offered. Dual Neutrik Speakon connectors are provided for inputs. 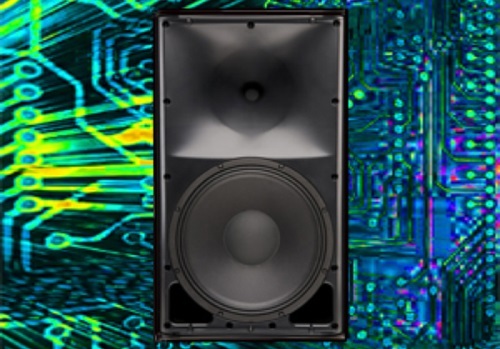 The company recommends its TL 18.1 subwoofer to accompany the 15-X-SS in LF-heavy applications. The Yorkville Sound Elite Series, available in both powered and passive options, can be specified with 10-, 12- and 15-inch neodymium woofers. Meanwhile, the 3-inch titanium diaphragm compression drivers have been engineered for reduced distortion at high sound pressure levels. Also onboard powered versions is multiband DSP limiting with four preset performance modes. Cabinets are made of birch plywood that’s ABS coated for added durability. Coming soon is an iOS and Android app for additional control. The JBL Professional VTX F Series (12- and 15-inch models) incorporates the patented D2 Dual Diaphragm Dual Driver as well as proprietary dual voice coil, dual magnetic gap Differential Drive technology that are both used in the larger VTX V25-II. They can be driven by the Crown Audio I-Tech HD DriveCore Series of amplifiers offering a switching power supply with power factor correction and patented Crown Class I output stage. The latest I-Tech model offers the ability to route four inputs to any output (analog, AES3, VDrive, or CobraNet), the new I-Tech 4 x 3500HD. Also available is HiQnet Performance Manager, an application-specific iteration of HiQnet System Architect. VTX F Series cabinets include a pole-mount socket, M10 mount points and an optional U-bracket. The K-array Dragon-KX12 is a 12-inch coaxial design with an adjustable 100- x 30-degree horn that is rotatable. Dedicated accessories assist in the setup of joining, flying and stacking the loudspeaker. The steel chassis is designed for maximum rigidity. 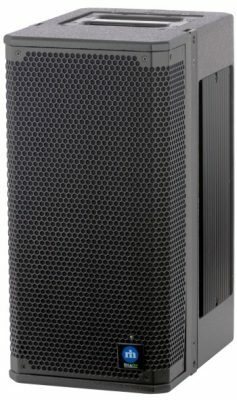 The KX12 is specified as capable of delivering continuous SPL of 127 dB with a frequency range of 120 Hz to 18 kHz. It’s compatible with both K-array KMT and Thunder subwoofers.